One of the best and most innovative products to hit the automotive repair industry is the Autologic Solution. This handheld device has the power to accurately diagnose many vehicle problems in a matter of minutes, leading to quicker, longer-lasting, and all-around better repairs. The expert auto repair technicians at Collins Automotive use the Autologic Solution as well as four other different drivability diagnostic tools. Rest assured that your vehicle is in good hands when you bring it into our shop. The Autologic Solution supports eight common automobile manufacturers’ products. If our mechanics ever need clarification about a diagnosis, we are backed by the support of a network of Master Technicians. Due to this, it’s very uncommon that our team will need to contact car dealers for help, a process that can sometimes come with a high cost. Seeking dealer advice increases cost, but the Autologic Solution helps us help you, and the net result is a lower cost for auto repair. While there are other diagnostic tools out there, none of them are as advanced or offer as many features as the Autologic Solution. This particular product features coding, flash programming, dealer tools, retrofits, fitment of aftermarket products, conversions, and so much more. As an added bonus, the Autologic Solution is incredibly user-friendly. All of the necessary information can be viewed on a wide touch-screen. Information is clear and easy to read, and the menu and search sections are easy to navigate. We specialize in BMW, Volvo, Mercedes-Benz, Volkswagen, Subaru and Audi repairs and use the Autologic Solution when diagnosing our clients’ vehicles. For those who are considering using Collins Automotive for their next repair job, you’ll be glad to know that we have the Autologic Solution in our diagnostic arsenal. Discovering the source of automotive problems is no easy task, but our team is highly skilled and highly qualified. Few other garages have access to such high-level diagnostic tools. Since we won’t waste time trying to determine what’s wrong with your vehicle, you’ll get your car back much more quickly. Forget about taking cabs or paying for a rental car for weeks on end. Diagnostics come back almost instantly allowing us to get to work on your repairs right away. You will also spend less in labor costs as the entire time it takes to service your car from start to finish will be greatly decreased. Another great thing about the use of the Autologic Solution is that it can detect even the smallest problems with your vehicle. So, small issues can be fixed before they grow out of hand and lead to other, more serious issues. This means that your car stays in better health for longer and that you’re less likely to suffer an unexpected breakdown or other serious problem. 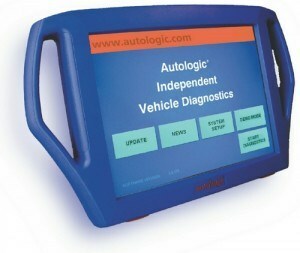 Does Your Mechanic use the Autologic Solution? We do. Give Collins Automotive a try and rest assured that your car is in good hands. Contact us for a free quote today!